Place the Facial-Flex® horizontally between your upper and lower lip into the corners of your mouth. The curvature of the metal bars should be parallel to the arch of your teeth. Press the corners of your lips against the resistance of Facial-Flex® while forcing the smallest “O” with your lips. It is important to continue this pressure even after you have reached the compressed limit of the Facial-Flex®. Hold this position for 10 – 15 seconds. You will be able to notice the involved muscle groups and perhaps feel their tightness. Let Facial-Flex® force the corners of your lips as far apart as possible. Then exaggerate this pose even further while maintaining pressure towards your ears for 10 – 15 seconds. During this portion of the exercise, you will be able to feel the involvement of your facial muscles, and the muscles below your jaw, chin, and neck. Go back to the first part of Exercise #1 and repeat. Continue to exercise, remembering that the number of repetitions that can be accomplished will vary from person to person. Go slowly and stop when you feel your muscles begin to fatigue. Insert Facial-Flex® in a vertical position in the middle of your upper and lower lips. For some individuals, this position may cause discomfort around the middle tissue band above the front teeth. 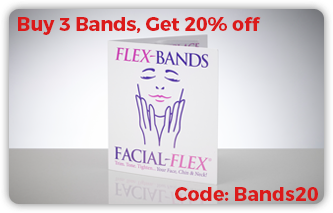 If so, position the Facial-Flex® to the right or left of the tissue band before proceeding with Exercise #2. Begin Exercise #2 by compressing Facial-Flex® with your lips only. Hold this position for 10 – 15 seconds. A mirror will help you be sure only your lips are compressed. Do not change the distance between your upper and lower teeth. Let Facial-Flex® force your lips apart, then relax. Repeat the exercise by again compressing Facial-Flex® and holding the position for 10 – 15 seconds. Continue to exercise slowly until you feel the onset of muscle fatigue. Insert Facial-Flex® in different diagonal positions between your upper and lower lips. In performing this exercise, it may be beneficial to use your fingers to help hold Facial-Flex® in position. 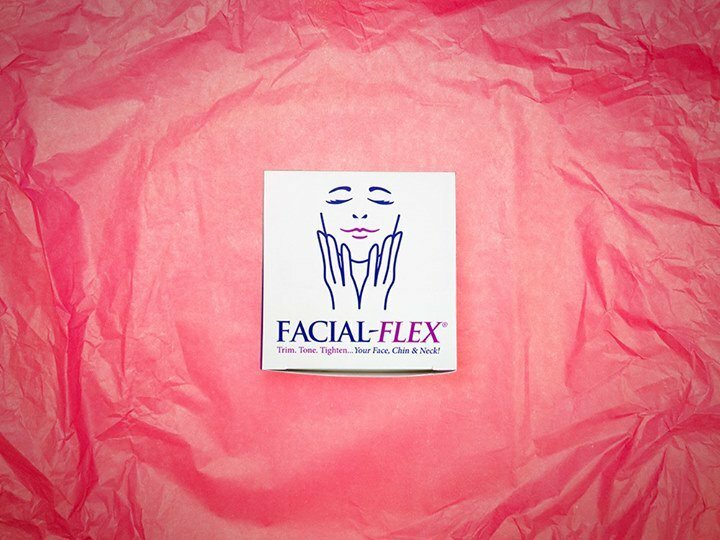 Compress Facial-Flex® with your lips only. Hold this position for 10 – 15 seconds, again, remembering not to change the distance between your upper and lower teeth. Let Facial-Flex® force your lips apart; then relax. Continue this exercise until you feel the onset of muscle fatigue. Remember to do the exercise slowly. When a unilateral facial deficiency exists, Facial-Flex® may be utilized to exercise the deficient, right or left side, muscle groups when used in the manner as prescribed below. Additional elastics can be added as progress indicates. Grip the plastic end of the exerciser between the thumb and forefinger of either the right or left hand, as appropriate. The thumb should rest in the primary curvature of the end piece, with the forefinger pressed against the outside, or smaller part, of the end piece. Facial-Flex® should now be positioned at an approximate 90 degree angle with the palm of the hand. Insert the opposite end of the lip piece into the corner of the mouth respective to the side of the face to be exercised. The wide portion of the plastic end piece should rest against the outside of the lips to avoid discomfort. Remember that the only contact you should feel will be the plastic end piece in the left or right corner of your lips. The curvature of the metal bars, in this instance, will be biased to the arch of your teeth. In this position, lateral movement of the Facial-Flex® can be restricted to one side of the face by utilizing hand and finger pressure. Now begin the exercise regimen as described in Exercise #1 – Horizontal Position. Remember to go slowly and stop when you feel the facial muscles that are being exercised begin to fatigue. It is essential to change the Facial Flex bands weekly for greater success with these tips. Everyone’s facial muscle structure is different. 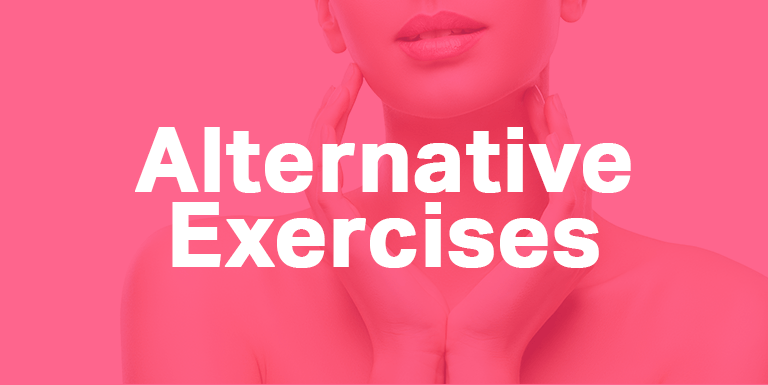 So experiment with your own alternative face exercises! Give each of these tips a few tries, and if you see them to be successful maybe you will consider adding them to your routine. Do you have your own tips or feedback? We’d love to hear from you! Interested in this for my spa. Would like wholesale information. Hello Jenny, call us at 610-539-9430, we may be able to help you. I’ve developed terrible wrinkles and creases at the side of my mouth from using the horizontal position. Is there a way to fix this? You need visuals here. Seriously. And what about some new before and after photos? The ones you currently have are very, very dated and aren’t really demonstrative of any improvement…at all. Respectfully. Hello Rose, thank you very much. To ship to Australia it is under US$ 20 now. Very reasonable. 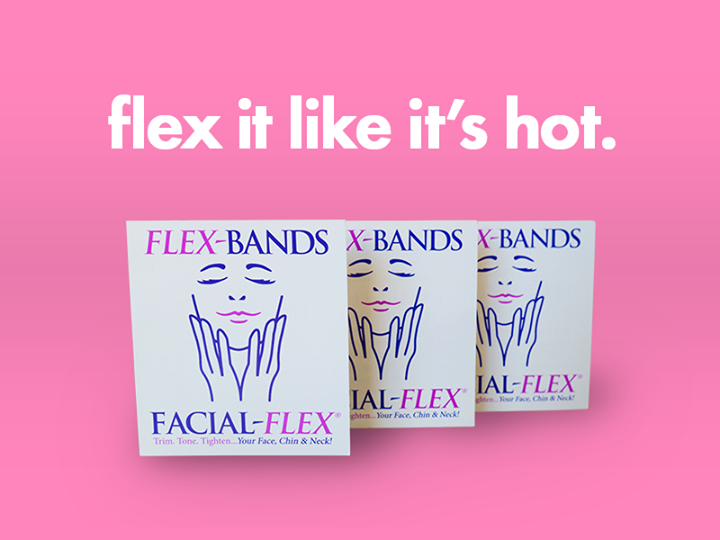 When you order your facial flex you probably are a candidate for the instructional DVD also, which will give you all the visuals for exercising with Facial Flex. Why no visuals? Just because these were submitted by “customers”? Visuals would be greatly appreciated. Thank you Janet. We’ll do our best! Edy, we apologize for the response in English, but please visit the “Resources and Guides” section of the website for the instructions for Facial-Flex. I have had my facial flex for over 15 years. What are the differences between the older model and the new one please? Also, what are the advantages of the newer version? Many thanks. Nicola, First…thanks so much for being a loyal Facial-Flex customer for so many years! We’ve made a lot of improvements to the device since you first bought a Facial-Flex and we’d love for you to check out the new model. It is more durable and longer, which makes the exercise more effective and increases the resistance. In short, if you liked the old Facial-Flex, you’ll love the new one! Hi. I am from the philippines. Do you ship here? Thank you. How much do i have to pay shipping and all? Emma, thank you so much for your interest in Facial-Flex. I’m proud to announce that we DO ship to the Philippines! 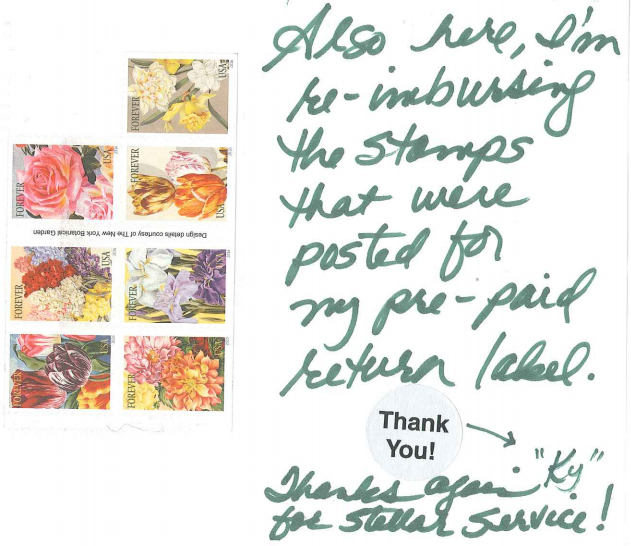 The amount you pay for shipping will change depending on what you order, but ordering the basic Facial-Flex with International First-Class Package (United States Postal Service) will carry a shipping cost of $19.95. I’ll tell my team to look out for your order! I have had a tough case of TMJ for a long time. I wonder if the facial flex will make this worse? Jennifer, thank you so much for your interest. The Facial-Flex device has been used for TMJ rehabilitation in the past and there have been clinical studies which support that using the device could have a positive improvement. Those studies were done at Temple University, The University of Maryland and elsewhere. You can find summaries here: https://facialflex.com/proven-results/clinical-studies/ I would suggest you show these studies to your physician if you are still having concerns. Thanks again! Hi…how long before results are seen? Also, when I use the device, I can’t really feel (with my hand) much if any muscle movement in my neck. I do have a big mouth (wink). Is it possible that the older model that I have is not wide enough?